Manhattan, NY According to Brian Steinwurtzel and Eric Gural, co-CEOs of GFP Real Estate (GFP), a vertically integrated owner, operator, property manager and developer of commercial real estate, and owner Adlie Associates LLC, a 10,500 s/f lease has been signed with baking retailer NY Cake at 118 West 22nd St., a 12-story, 90,000 s/f building located in Chelsea. GFP acts as the property’s third-party manager. Roy Lapidus, managing director of GFP, represented the ownership, while John Brierty of Newmark Knight Frank acted on behalf of the tenant. The family-owned and operated cake decorating and baking supply store that has been beloved by professional and amateur bakers alike was previously located at nearby 56 West 22nd St. for 20 years. The move to a larger space at 118 West 22nd St. will increase NY Cake’s operations, which includes the sale of all baking goods as well as a designated teaching area. 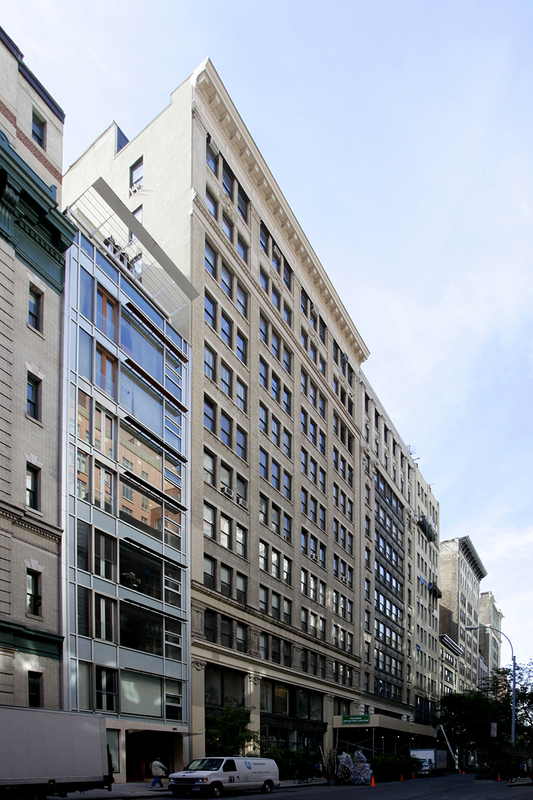 Constructed in 1911, 118 West 22nd St. offers commuters access to the PATH and subway lines 1, C, F, E, N, M and R. Neighboring tenants include Kleinfeld Bridal, Trader Joe’s, Grimaldi’s and Bluemercury. GFP Real Estate, led by Jeffrey Gural, Eric Gural and Brian Steinwurtzel, is a vertically integrated owner, operator, property manager and developer of commercial real estate with its 66-year-history of hands-on asset management and owned portfolio of more than 10 million s/f of commercial properties, nearly 9 million s/f of which is based in New York City. GFP Real Estate oversees an additional 3 million s/f for its partners and clients, representing a total of over 13 million s/f under management.